What a cute baby quilt. Wish I could see the whole top. 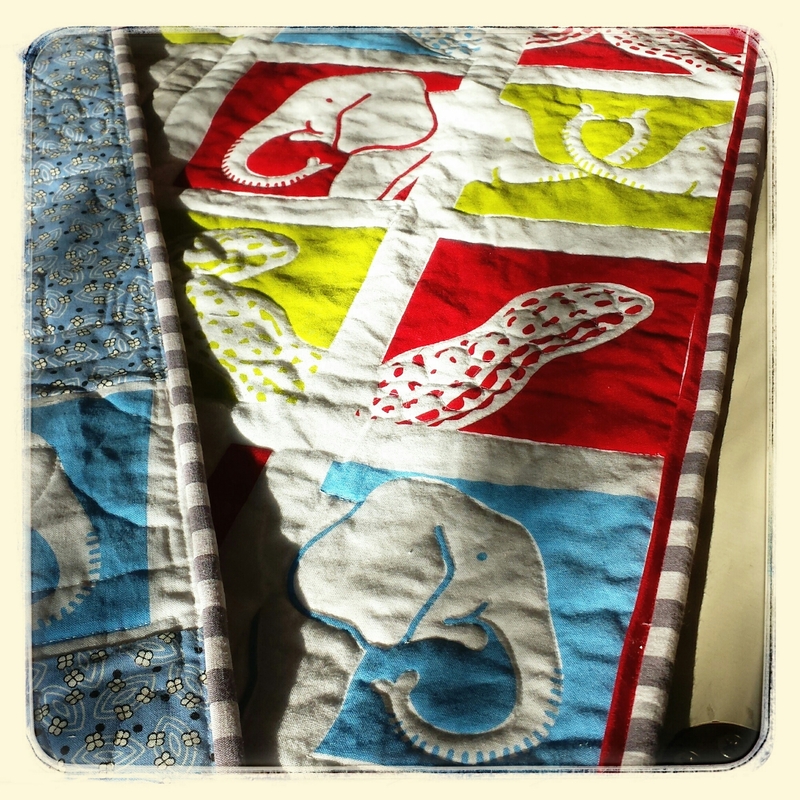 Love the bright happy elephant quilt. Sometimes adding to our stash helps us to use some older, dated fabrics.